The night sky includes loads of beautiful phenomena besides the northern lights. The trick is just to know what to look for. One such phenomena is called the zodiacal light. The zodiacal light appears as a faint, diffuse triangular glow in the eastern sky just before morning twilight begins this time of year. This means around 04 o’clock in the morning. 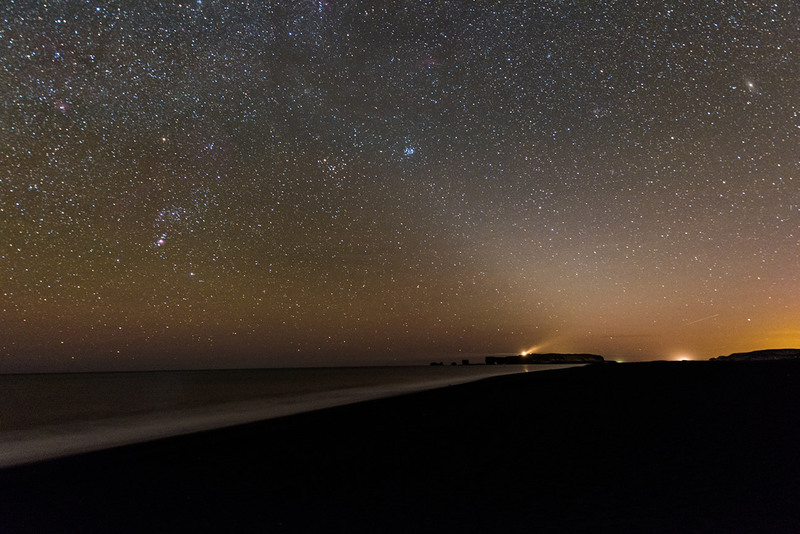 The equinoxes are always the best time of year to see this faint glow of distant light. Sometimes called false dawn, the zodiacal light is simply dust in the plane of our solar system, lit up by sunlight. It’s not easy to notice the zodiacal light this far up north but it can be done, if you know where to look. You eyes also need to be dark adapted, meaning you have to shy away from any artificial light source that can interfere with your eyes. Unsurprisingly, the zodiacal light easily shows up on images. Just point your camera to towards west and use similar settings on your camera as when you shoot auroras, up to 25 seconds. Good luck and if you are successful, please share your image with us on Facebook. When and how to see it? Morning, around the September equinox, look to the eastern sky just before morning twilight appears. Evening, around the March equinox, look to the western sky just after the evening twilight has completely disappeared.